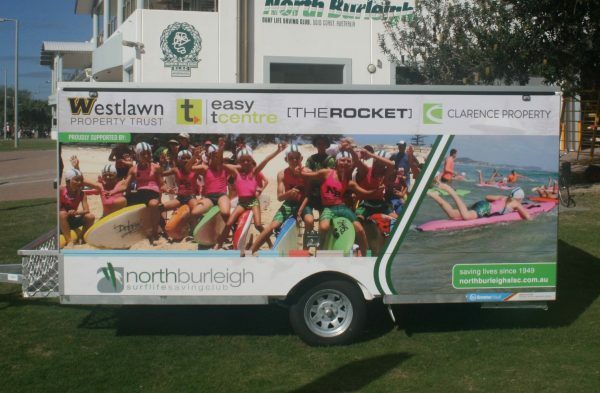 The North Burleigh Junior Committee are proud to announce our Nipper trailer is now in use and ready for use in the 2018/19 season. This was all made possible by a donation from one of our valued members Peter Fahey and Clarence Properties. 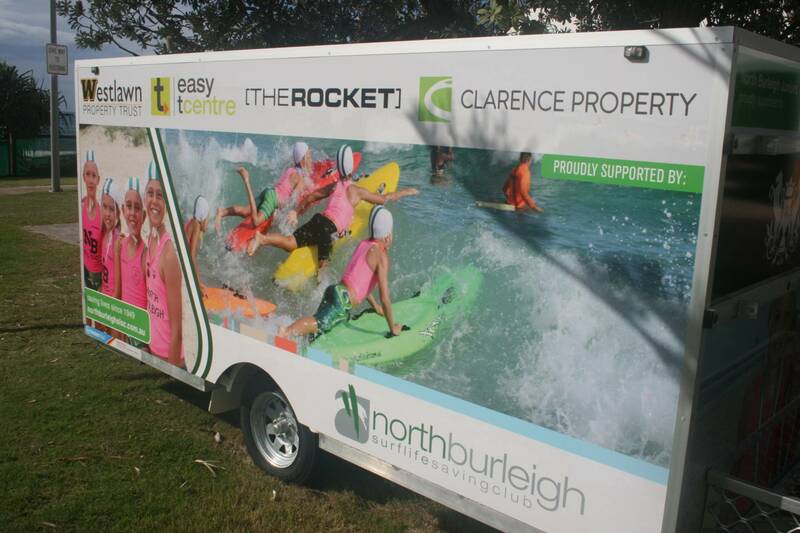 The trailer will be an important part of the Junior section allowing us to move our equipment around for Training and Carnivals. We would also like to thank the follow Brisbane Racing Club, Clarence Properties, Climate Control Air Conditioning Specialists, BWA Promotions, Edge Underground, MTG Contracting, Pacific Coast Plumbing, Andrews Finance and Coles Miami. Please support these local Companies as they continue to support your children.